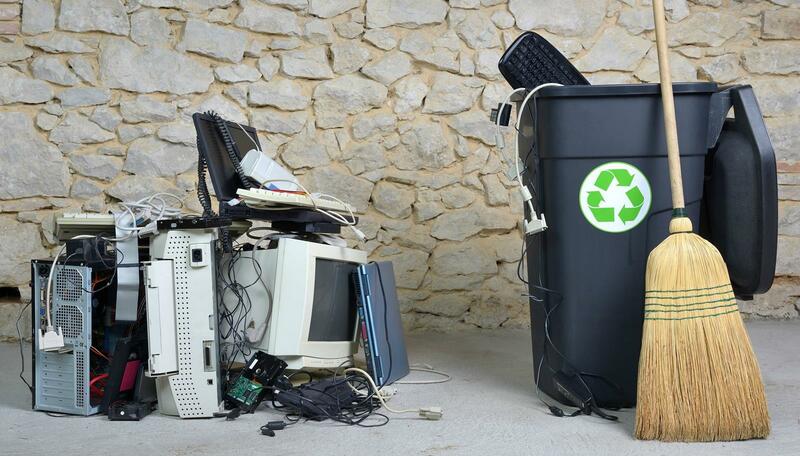 SBK Recycle offers Free Pickup and Removal of your old unwanted Electronic items. We offer Free On-site Data Destruction with Certificates of Destruction. Contact us to book your free pickup. Our free mobile destruction service can come to your office, data center, or server room to securely destroy your hard drives. We offer free on-site Data Destruction with Certificates of Destruction. Contact us to learn more. 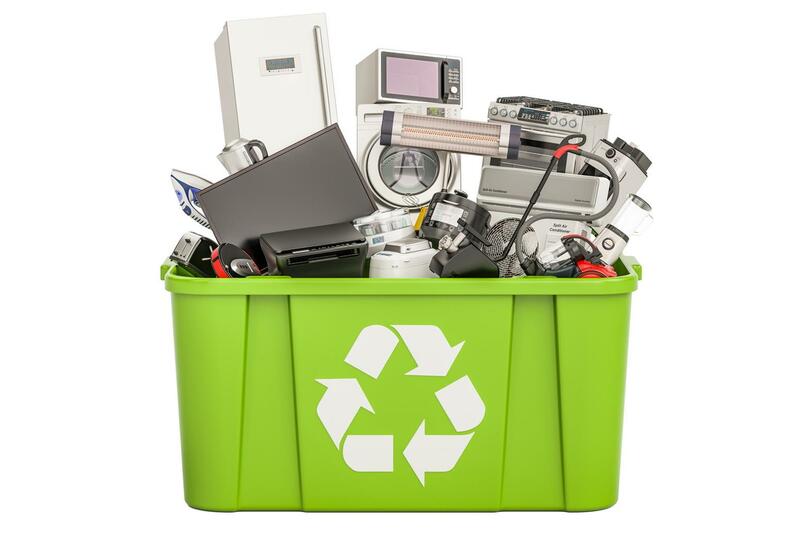 Helping Your Company Go Green Through Reuse and Ethical Recycling. We have many services that can help your company manage E-Waste and stay compliant with Data Destruction. We offer Free On-site Data Destruction with Certificates of Destruction. April Special: We offer Free Pickup & Removal for Businesses Non-Profits and Schools. Flexible scheduling to work with your businesses schedule and time-frame. We are a Leading Recycler of E-Waste in Seattle and Tacoma. SBK Recycle LLC practices safe and efficient recycling for computers and electronics (e-waste). This includes downstream tracking of all items. Providing On-site and Off-site Data Destruction in a secure facility with 24/7 surveillance. We follow the ISO-14001, ISO-9001 and OSHA standards for workplace safety and environmental impacts. We offer the following services to the Seattle and Tacoma areas: comprehensive recycling, industry-specific E-waste management, quality control and sustainability solutions for businesses and corporations. SBK Recycle offers Free On-site and Off-site Data Destruction with Certificates of Destruction. We do comply with all State and Federal regulations with regards to Hard Drive destruction. We offer a wide range of recycling services to meet your E-Waste Recycling needs. Free Pickup and removal of your old unwanted electronic items. Free Data Destruction with Certificates. Our mission is to reduce environmental impacts in Seattle and Tacoma through reuse and proper sorting of electronic material. SBK Recycle LLC adheres to the ISO-14001, ISO-9001 and OSHA standard of workplace safety. Recycled material is sorted and processed to make sure we are able to recover and reduce unwanted materials. SBK Recycle is committed to protecting the environment and the safety or our workers. To minimize environmental impacts concerning our activities, products, and services. We conduct business appropriate to nature, scale and environmental and health and safety impacts of our operations, products, and services. Learn more about upcoming events in Seattle or Tacoma, as well as in your specific community. Sign up to host an event in your area. Or simply find out what's new in the world of e-cycling. All electronics are recycled in a safe manor with no impact to the environment. We only work with certified vetted processors. Our goal: to provide a viable alternative to e-waste in our landfills through refurbishing and reuse.